My name is Joe Puente and I'm what the experts call, "Incurably Opinionated." But I hope I'm redeemed by at least having an open mind. I have often imagined that if I had ever gotten a chance to meet Steve Jobs, the first thing I would have said to him would have been, "Thank you! Thank you for coming back and saving Apple." I remember vividly the tense debates I engaged in with PC users during "the dark times" of the mid 90s when the future of Apple was in doubt. Rolling my eyes at every poison-penned op-ed by John Dvorak–I still recall how he introduced me to the word "moribund" which sent me to the dictionary and made me even more pissed off because he had used it in reference to the company that I so loved. Oh, the frustration I felt when talking with people who thought Windows 95 was so amazing and the indifference they showed when I pointed out that I had been using all of those "amazing" features for the last decade. To say nothing of the guy who lived in the barracks room down the hall from me who wanted to show off his new version of Windows and STILL had to open the DOS prompt to move a file from one directory to another because he couldn't grasp the concept of clicking on the picture of the document and dragging it from one picture of a folder to another in order to move it. But I fought the good fight. I joined Guy Kawasaki's "EvangeList"–I still have the teeshirt! I remember sending Guy an e-mail in which I compared Mac users to early Christians and PC users to apostates who corrupted the original concept of a truly usable GUI. Guy responded by saying that I had "a lot of fervor." In retrospect, I think I was bordering on fanatical. I was one of those people that would go up to PCs on display on store shelves and launch the registry editor in Windows, change every reference to the "Recycle Bin" to "Trash," move the task bar to the top of the screen, rearrange the icons on the desktop to more closely resemble the default Mac OS interface and top it all off by changing "My Computer" to "My '87 Macintosh." I had to work fast so the sales clerks didn't see what I was doing. I was never caught. It was 1999. Just a couple of years since Steve's return to Apple. I was walking through CompUSA, heading toward the Apple "Store-within-a-store." There was an interesting display of the new "fruit-flavored" iMacs–empty iMac shells actually–set on top of some iMac boxes on the floor. It wasn't easy for an adult to get a good look at them, but then I don't recall there being much in the way of product information about them either. At first, this seemed a little odd. As I looked around, I noticed a young family walking down the aisle; just a mom, dad and their little daughter. As soon as the daughter caught sight of the iMacs–which were at the perfect eye level for her–she ran toward them and placed her arms around the "Grape" model and looked at her parents longingly. That's when I noticed that she was wearing a purple sweater. It was obviously her favorite color so, of course, she's going to want the purple iMac. I had to smile. Sure, the kid making puppy-dog eyes to her parents for a new toy was something we've all seen before–and have probably done at one time or another–but there was more to this particular moment than that familial cliché. I witnessed in that moment, the realization of Steve Jobs' vision about making technology not just accessible to human beings but inviting and inspiring. No child ever wanted to hold IBM's PCjr in their arms. There was never anything cuddly about a product from Compaq or Hewlett Packard. The iMac brought Apple back to the core appeal of the original Macintosh; an all-in-one computer that didn't intimidate the end user. Instead, it opened up a world of creative potential and took it a step further: it invited affection. It didn't quite sink in at first. The marketing brilliance of putting colorful computers at a child's eye-level was obvious and I remember thinking, "Only Apple would create a piece of technology that a child would want to hug." Now that Steve is gone, I realize that it wasn't Apple. It was him. Apple has always been a special company. Innovative, iconic and with a loyal base of customers who have stuck with it through good times and bad and now great times. But it's always been Steve Jobs who really made the difference. From the time he left Apple in 1985 until the his return at the tail end of 1996 with Apple's acquisition of NeXT, Apple did release some amazing products and even invented an entire new computing platform–the MessagePad was just a little too ahead of its time to be really successful–but it lacked the style and charm that came with Steve. 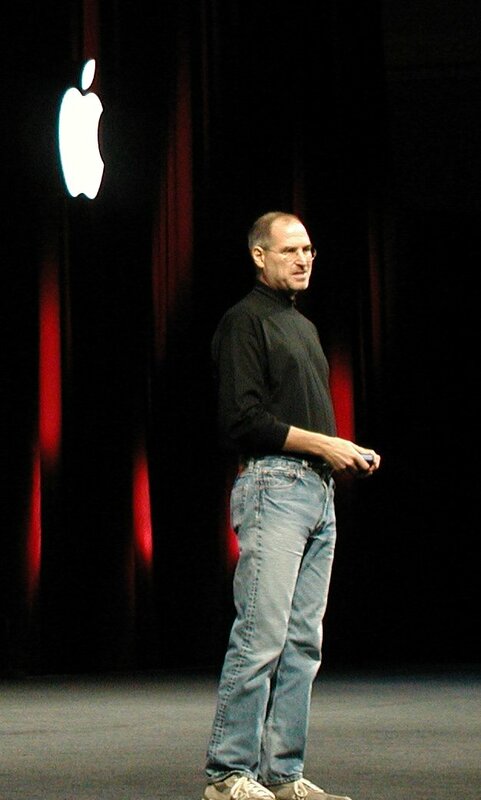 There is some concern that with Steve's passing, Apple cannot maintain its success. I remain hopeful that the company has learned its lesson. They know what happened when Steve was pushed out and how it was Steve who brought them back. We can only hope that as Apple moves forward, its leadership will do everything it can to emulate his leadership, style and charm. © PuenteMedia.com. Awesome Inc. theme. Powered by Blogger.